I’m a pirate — are you? 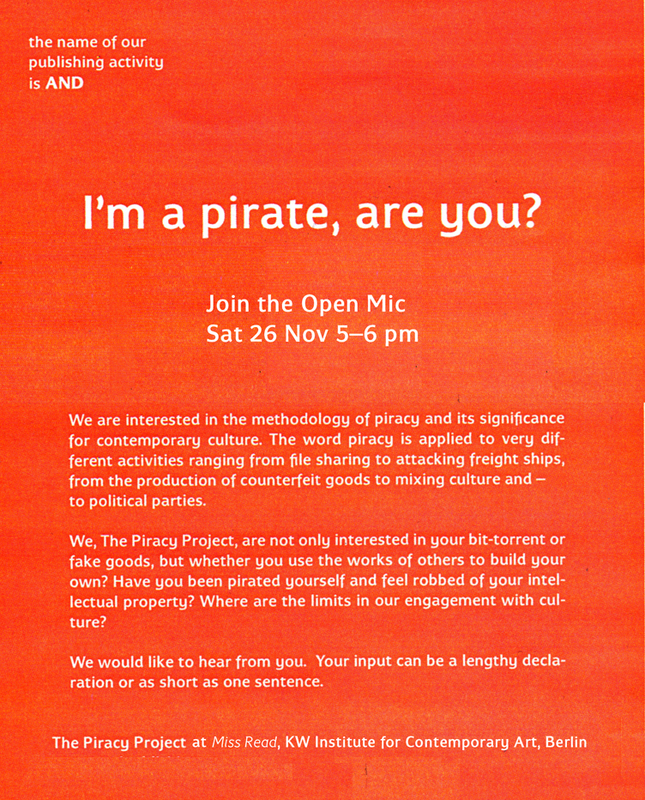 We are interested in the methodology of piracy and its significance for contemporary culture. The word piracy is applied to very different activities ranging from file sharing to attacking freight ships, from the production of counterfeit goods to mixing culture and – to political parties. We, The Piracy Project, are not only interested in your bit-torrent or fake goods, but whether you use the works of others to build your own? Have you been pirated yourself and feel robbed of your intellectual property? Where are the limits in our engagement with culture? We would like to hear from you! Your input can be a lengthy declaration or as short as one sentence.